“Our ideal would be to build collaborations with different specialties to attack this condition from a variety of viewpoints that are individualized to the specific patient,” says Karen Wang. 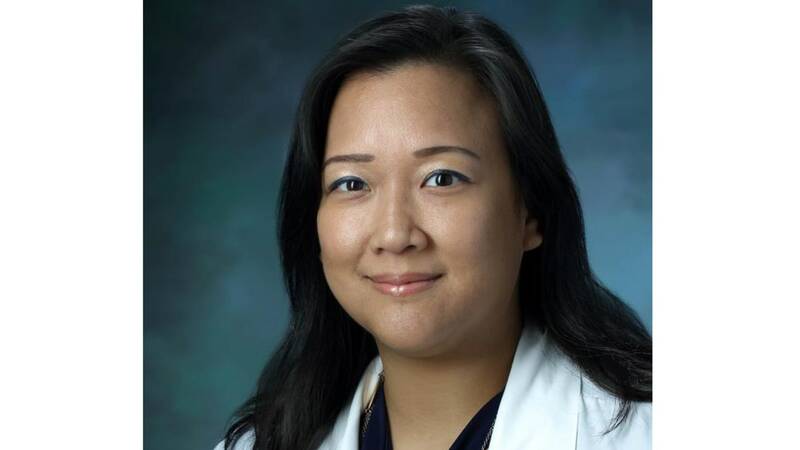 Endometriosis, which affects about one in 10 women of reproductive age, can be complicated and complex, says Johns Hopkins minimally invasive gynecologic surgeon Karen Wang. That’s why Wang and other specialists at Johns Hopkins are creating a virtual multidisciplinary center specifically for treating endometriosis and its associated symptoms. “Our ideal would be to build collaborations with different specialties to attack this condition from a variety of viewpoints that are individualized to the specific patient,” she says. Patients with endometriosis may experience pain, fertility problems or both, but their symptoms don’t necessarily correlate with the severity of the disease. Some women will have minor growth of endometrial tissue outside the uterus, while others will have substantial involvement with the uterus, ovaries, bladder, ureters, intestines, lungs, abdominal wall and other adjacent organs. Because presentation and symptoms vary, treatment can involve a variety of specialists, and isn’t always optimal for patients, Wang explains. It can be difficult to coordinate communication between the various providers, who may even provide conflicting recommendations. The multidisciplinary center, Wang says, will provide a better patient experience and more consistent care at Johns Hopkins, which is a tertiary referral center equipped to handle the most severe cases of this disease. Once a patient is seen in the Endometriosis Center, coordination of care with other pertinent providers will make visits more convenient and minimize travel for patients. Providers will also meet as a group periodically, she adds, to discuss and reach consensus on each patient’s treatment—a care model shown to improve outcomes for numerous other conditions. A view of pelvic endometriosis. In addition to Wang, the center will include minimally invasive gynecologic surgeons Kristin Patzkowsky and Khara Simpson, who can remove endometriosis with the goal of preserving fertility, if that’s a patient’s preference; reproductive endocrinologists who can improve fertility outcomes and manage hormonal changes; pain specialists; interventional radiologists who can better assess a patient’s disease; gynecologic oncology for patients whose disease has spread beyond the gynecologic organs; and plastic surgery for those whose disease is so severe that treatment will involve repair of the abdominal wall. The center will also have a strong research component that will be incorporated and patient specific, says James Segars, who will be active in the center through his role as director of Johns Hopkins’ Division of Reproductive Science and Women’s Health Research. The division is currently conducting a variety of endometriosis research studies that could lead to new ways to diagnose and treat this disease. For example, Ie-Ming Shih, director of Johns Hopkins’ TeLinde Gynecologic Pathology Laboratory, led a study published in the May 11, 2017, New England Journal of Medicine showing that lesions harvested from women with deeply infiltrating endometriosis harbor cancer-related mutations. Although these mutations weren’t causing cancer at the time the tissues were harvested, Segars says, they could have significant implications for both diagnosing and treating endometriosis. Eventually, he says, a definitive diagnosis might be obtained not through surgery but with less invasive biopsies that reveal the presence of these or other, not-yet-discovered mutations. Those mutations might signal the need for closer follow-up to make sure they don’t morph into cancer or become deeply infiltrating. And they would likely become targets for novel medical therapies. 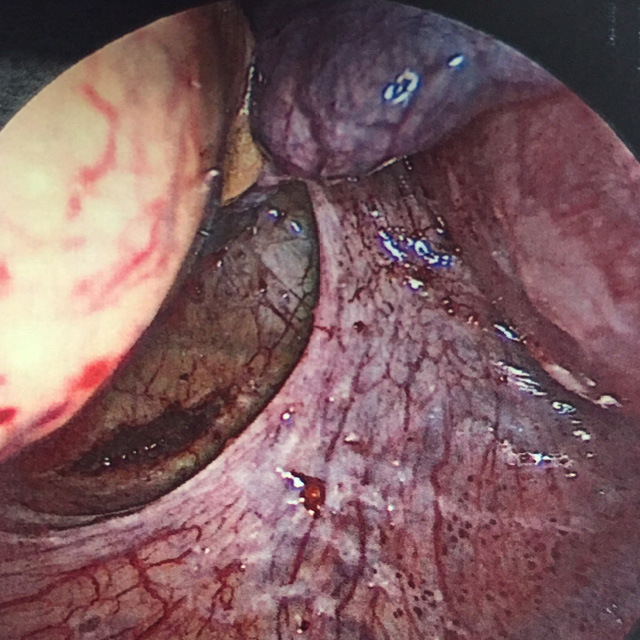 Wang, Segars and others who treat and investigate endometriosis at Johns Hopkins believe this collaborative approach will optimize care for patients with endometriosis. “We want patients to live normal lives, minimizing their pain and improving their fertility, achieving all the goals they had before they were diagnosed with this condition,” Wang says.